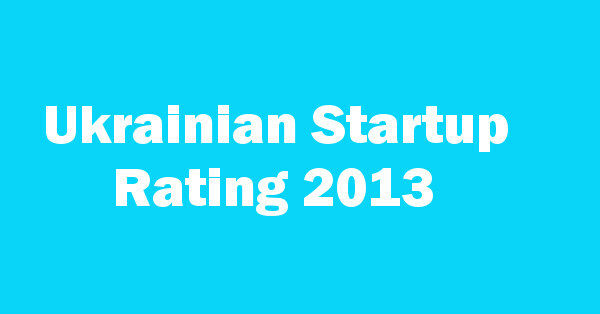 The 2013 Ukrainian Startup Ratings have been announced an Zakaz.ua leads the way in this year’s competition. This annual competition, which was begun in 2009 by noted investor and founder of accelerator GrowthUP, Denis Dovgopoliy, attracted nominations this year for 134 startups and 74 individuals. Zakaz.ua edged out Petcube 14-13 to lead the way. Rounding out the top 5 were Endorphin.me, QuadSquad/Enable Talk (which was previously a big winner when they took home $25,000 at Microsoft’s Imagine Cup 2012), and Jelastic. Each of those three teams wound up with 8 points. Startups were not the only ones under scrutiny, as there was there was also a table of people who were judged to have had the greatest impact on the development of the technology and VC sectors in Ukraine. In order, the winners were noted investor Viktoriya Tigipko, Zakaz CEO Yegor Anchishkin, Eastlabs partner Eveline Buchatskiy, investor Alexander Olshansky, and Yevgen Sysoyev from AVentures Capital. The release of these ratings comes in conjunction with iForum 2013, a conference held yesterday in Kiev. According to information provided by the organizers of the competition, eligible companies must have been less than 3 years old by the end of 2012, must have annual revenue of less than $1 million, and must have been founded by Ukrainians or have an at least 50% Ukrainian-based customer base. We’re told that the personal ratings of the experts will be released on the Expertorama by the end of 2013 and that the full ratings will eventually be made available on the contest’s official website. For more information on companies like Zakaz and Endorphin.me, which have investment from GrowthUP, see a post we did about the incubator last month.